With just two weeks of our 2010 CSA left, we are ready to move forward mentally to the 2011 season. Next year will mark our 5th season of farming here in Oregon, and after many growing pains, we have come to feel secure in our work here on the farm. This year our fields produced a fair abundance of beautiful and delicious produce for our 20 member CSA despite the weather we were given. This winter we have been able to protect our winter plantings from some fairly cold temperatures already with the help of recycled greenhouse plastic and our new cooler for storage. 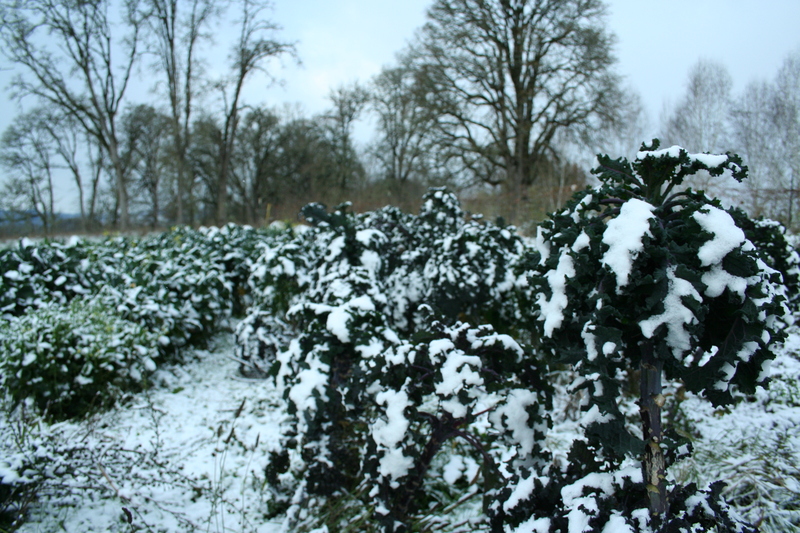 We have enough food growing to harvest for our market through the rest of winter and to start our CSA season earlier in 2011 so that our members don’t miss out on some of those early spring goodies! With all that in mind, it is time to announce the details for that season (here) and start the process of accepting new members to fill our open spots (10 new spots at the current time). Current CSA members will have their spots reserved for them until January 15, and then we can determine if there will be any more open spots. 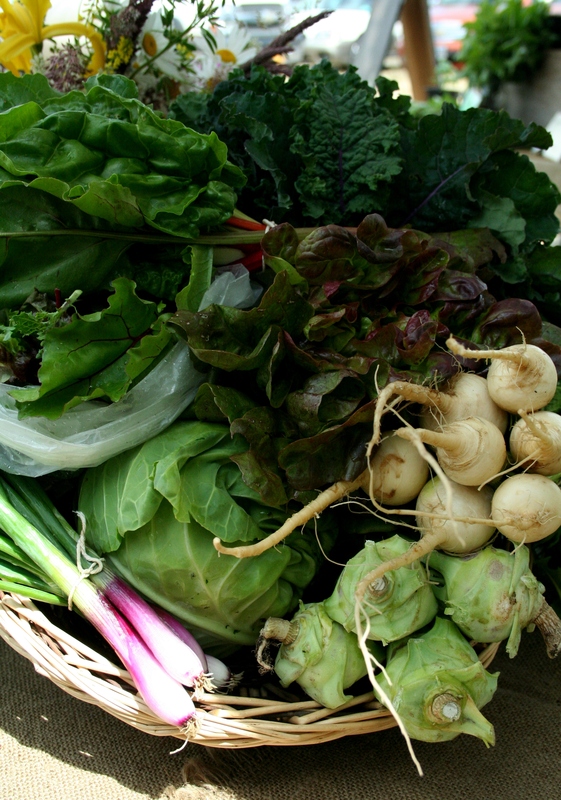 Through all of our time here building this farm, the CSA has been at the heart of it all. It truly is the part of our business that allows us to make this small farm a reality, just as it was designed to do. It is a great small farm model, and aside from keeping us at the work of farming and allowing us to provide produce to the rest of the community through markets and restaurants, it has given us some of the most wonderful connections we have in our community. Some members have been with us from our first year! They truly have invested and helped to build this farm…we are so grateful! And new members that we have only met this season have been so appreciative of what our farm offers…we are so blessed!